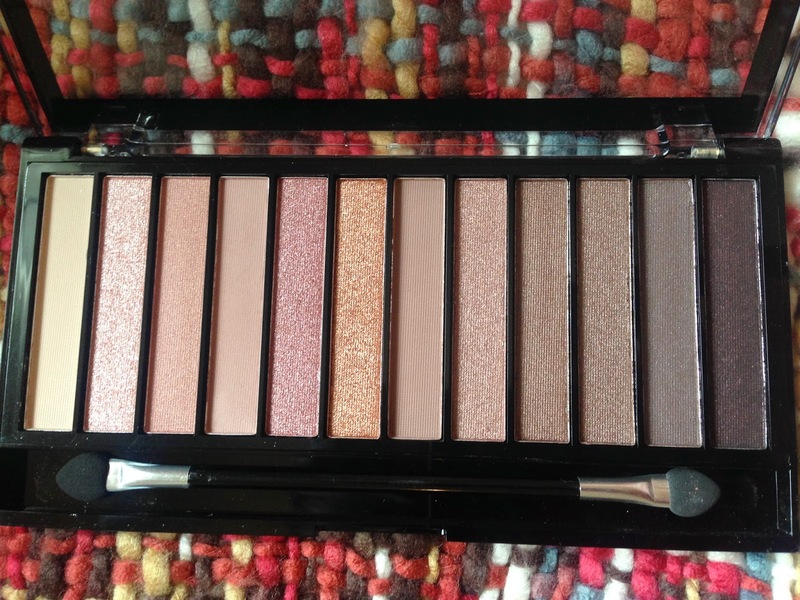 When I first looked into the Urban Decay Naked palettes, Naked 3 was the one which appealed to me most in the pan but I was unsure if it would suit me. The woman in the shop said 'that's for blonde people really', so I was put right off it. However soon after this I heard about the Iconic 3 palette, a £4 dupe of Naked 3 (the only shade-by-shade dupe I'm aware of). With such a tiny price tag I decided to take the plunge and try rose shades I'd never normally have looked into. I kind of felt like Naked 2 was much of a muchness, and if you owned 1 you didn't really need it, however 3 is completely different. 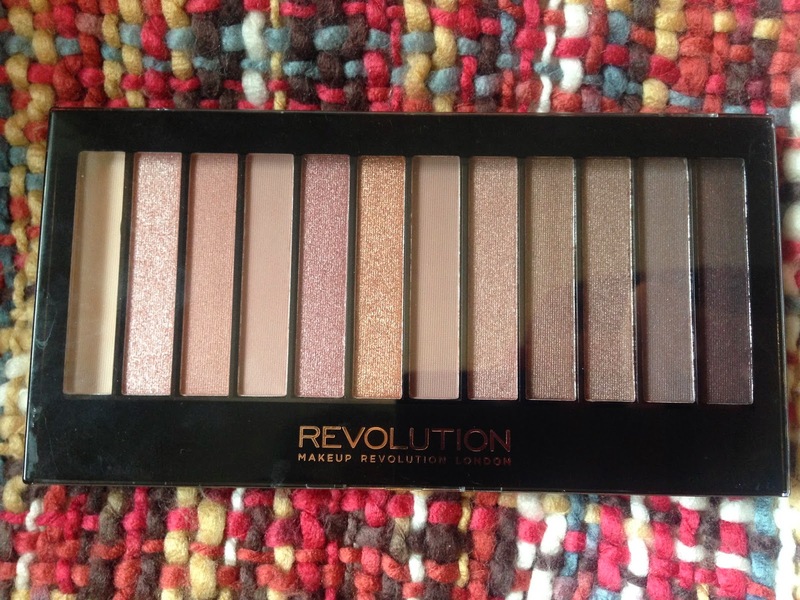 Whilst I don't own 3, so can't do a direct comparison, I can compare the quality of the Naked palette I do own to Makeup Revolution's effort. First off is the packaging; it's nothing special but it's functional. It fastens securely and I've dropped it a fair few times and it's remained unharmed! The reason I like MUA and Makeup Revolution over other high-quality, super-affordable brands is that the products don't look or feel cheap. The packaging is sleek and simple and I like that you can see which colours are inside! I slightly prefer a round eyeshadow pan, but that's personal preference! For some reason they look bigger, but I checked and the MUR palettes are bigger than the MUA ones in weight as well as in size. So onto the shades; I'm honestly really happy the £4 price-tag allowed me to experiment with these colours! I never would have paid £37 for something so out of my comfort zone, but they are just lovely. If you're not pale and blonde, seriously do not be put off these shades. If anything I feel as though the colours pop more on medium skin-tones. They're just beautiful; the first 6 shades are more light champagne and baby pink colours, whereas the the second 6 are more mauve and plum colours. I thought the colour pay-off for all but the lightest shade was fantastic, and apart from one or two of the shimmers there was very little fallout. The shades don't have names, which is a shame, so I'm just going to label them 1-12 from left to right (so the lightest is 1 and the darkest is 2). 1 is your highlight shade; a pinkish-cream matte. 2 is a shimmery champagne and 3 is quite similar but a darker, rosier tone. 4 is a medium pink matte, 5 is a silvery-pink shimmer and 6 is a gold-toned orange shimmer. Onto the second half: 7 is a light grey matte, 8 is a pink-grey shimmer and 9 is a pinkish taupe shimmer. 10 is more grey-toned pink shimmer, 11 is a grey-mauve shimmer and finally 12 is a black-purple shimmer. So here are the swatches! As always there is one with a flash (on the left for both) and one without (on the right for both). The first set shows shades 1-6 (starting with 1 at the top) and the second set shows shades 7-12 (starting with 7 on the top). I've applied 4 swipes with each, so that should give you an idea of the pigmentation (I think 7-12 are more pigmented than the lighter shades). As always this is all without a primer! As you can see, even shades which seem similar in the pan don't look same-y at all when swatched. My favourites from the lighter side are shades 3, 4 and 6 and from the darker end, 8, 9 and 10. It stayed really nicely. I used the e.l.f. 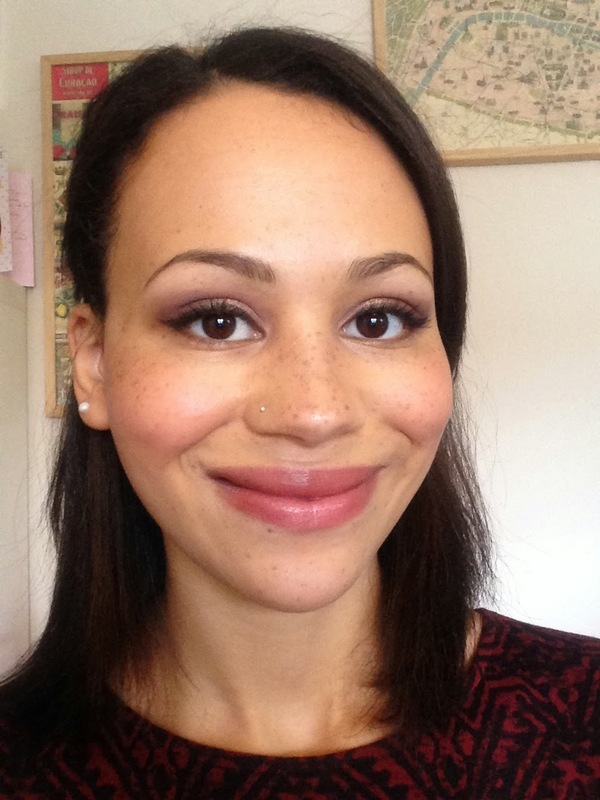 Eyelid Primer in Sheer (£1.95) and it stayed nicely for 6 hours. After this point it started to blur a little but the look still remained and it didn't crease! Obviously it's not Urban Decay but it comes far closer than a lot of other premium brands do, as far as quality goes. 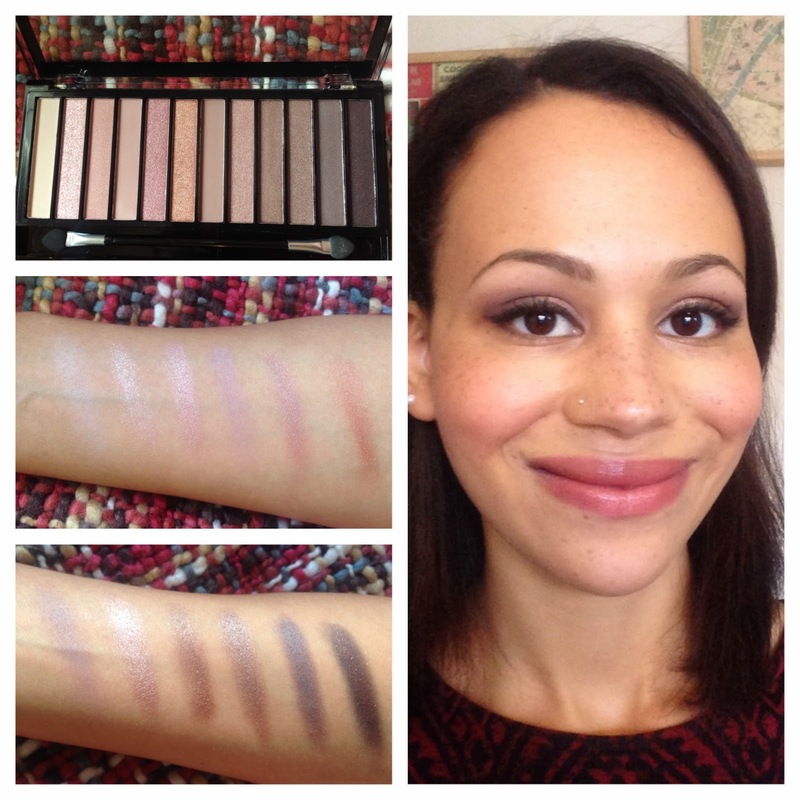 It's fairly easy to just copy the colours of Naked 3, but to get the quality so high for £4 is seriously impressive. Overall I love this palette and I'm so glad I tried something new with these colours. It's one of those one's I'd have paid 4x the amount for and I'd still think I'd got a good deal. I'd recommend this to a lot of different skin-tones; don't be scared of the pink! I think the question you have to ask yourself is, 'do you think the Urban Decay version is £33 better? 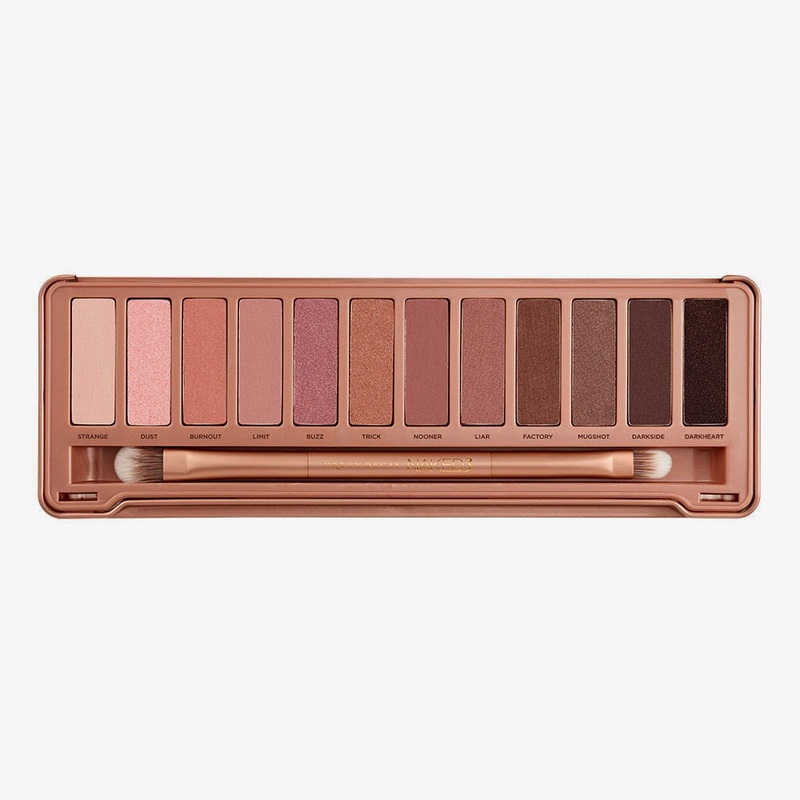 ', if it's a 'no' I'd say this is a great alternative, or even if you plan on buying the Urban Decay, it's a great way to test out if the shades are for you. 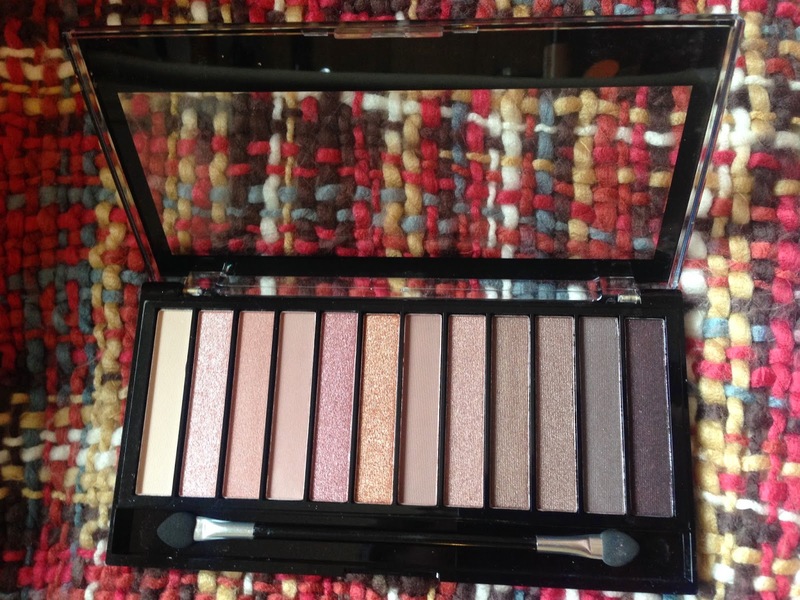 I didn't have any of them so bought the 2nd naked palette as I thought it was a bit more versatile for work. But now looking at this I kinda want the 3rd now... But would be tempted to try this dupe version instead as the colours look good! Thanks for the tip! I really love this look on you, so very pretty! I'm dying to buy alot of this makeup! Roll on payday! I'm also still tempted to get the Urban Decay palette as I love the second one!